Moteur Spécial FLOAT TUBE 30Lbs Commande déportée variateur électronique !!! MOTEUR BASE HASWING 30Lbs Spécial Float tube. Prise Anderson 50A pour séparer la commande du moteur et facilité le transport. Bouton de commande marche avant et arrière. Puissance (nominale / max) (W) 312 / 360. Ultra-light, totally transportable, this is the float tube that redefines fishing access. The Trinity is for you if You like float tubes with above the water seating Boat Specifications You need a lightweight float tube. Of flotation in a portable fishing platform. Featuring an inflatable seat designed to ride high in the water, a hydration bladder located in the rear of the backrest, and an adjustable-height stripping apron. The Fish Cat 4 Deluxe-LCS is for you if You love to still water fish in lakes, ponds and reservoirs. AireCell Material: Vinyl Seam Construction: Sewn Warranty: 5 Valve Type: 2-Boston/2-Tube Summit Weight: 14 lbs. 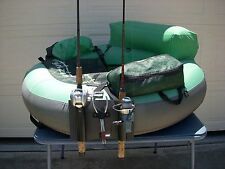 Outcast FISH CAT 4 DELUXE Float Tube, Olive - Low International Shipping Rates! This bag is spacious enough to accommodate a float tube, fins and a pump. The bags top load design makes loading and unloading a breeze. PVC Construction. Opens fully up to easily get tubes in and out of the bag. Outcast TRINITY Float Tube, Navy Color - Low International Shipping Rates! Outcast Trinity Float Tube -Navy Color. Ultra-light, totally transportable, this is the float tube that redefines fishing access. The Trinity is for you if - You need a lightweight float tube. - You like float tubes with above the water seating. Outcast Fish Cat 5 Max -Grey/Orange. from authorized Outcast Dealer with Full Warranty. You want an affordable, do-everything float tube. The Fish Cat 5 Max is designed for the big and tall anglers. The Fish Cat 5 Max is for you if. Outcast Fat Cat - LCS Float Tube -Grey/Orange. The original U-shape float tube is still our most popular. The foam seat and backrest. 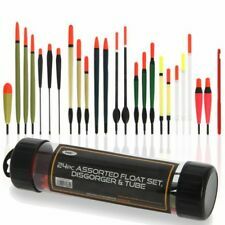 - You fish a lot and need a do-everything float tube. - You want a comfortable, stable float tube that is good in all conditions. ODC 420 Ultralight- Inflatable seat makes for a super compact, lightweight tube. Large storage pockets. Stripping apron. Foam Fly Patch. A Super Compact, lightweight model, coupled with our 420 Inflatable AIR SEAT Back and Bottom. The original U-shape float tube is still our most popular. The foam seat and backrest ride high in the water for better visibility, accuracy and casting distance. stable float tube that is good in all conditions Boat. Helpful Links. Fabric Denier x Material Weight: 1000 pvc. Here is a double float tube rod holder. Put it anywhere on your tube or Pontoon you can fit a strap around. LATEST MODEL. DOUBLE STRAP.SEE LAST 2 PHOTOS. WILL MAKE A GREAT GIFT! YOU ARE BUYING THE RODHOLDER ONLY! It's stable in moving water and features a low profile for still water. Weighs just 35 lbs. and is compact enough for airline travel. Warranty: 5 Year. Helpful Links. Load Capacity: 400 lbs. The adjustable height stripping apron makes casting and landing fish easier. The Super Fat Cat-LCS is for you if You love to still water fish in lakes. Helpful Links. ponds and reservoirs You want your knees to be up out of the water You fish a lot and need a do-everything float tube You want a comfortable. YOU ARE BUYING THE RODHOLDER ONLY! NO FLOAT TUBE. Now the holder will hold your rods at a 45° angle or straight up on either side you want to mount it on your tube. The color is BLACK.YOU ARE BUYING ROD HOLDER ONLY. WILL MAKE A GREAT GIFT! YOU ARE BUYING RODHOLDER ONLY! NOT FLOAT TUBE! Here is a lite weight float tube rod holder that will fit anywhere you can run a strap around your tube. Double rod holder.1 straight up and 1 at an angle. YOU ARE BUYING RODHOLDER ONLY! NO FLOAT TUBE. now I'm making float tube rod holders to fit FLY RODS. Made out of Eva foam rubber which makes it waterproof, light weight and safe. Custom models available. Hard Blue plastic Float tube. MDI Protective Plastic Float Tubes. Length 13" (33cm). You can easily bespoke the length of these rod tubes with a saw. YOU ARE BUYING THE RODHOLDER ONLY! NOT FLOAT TUBE. WILL MAKE A GREAT GIFT! Length 13" (33cm). You can easily bespoke the length of these rod tubes with a saw. And disgorger. Floats (1). Fishing Floats. Mixed Coarse. Fishing Line (12). Baiting Needle Throwing Sticks (9). Rod Pods (7). A tube of 24 assorted. 5 Piece Float Set. High Visibility. Length 6" (15cm). You can easily bespoke the length of these rod tubes with a saw. MDI Protective Plastic Float Tubes. Length 8" (20cm). You can easily bespoke the length of these rod tubes with a saw.